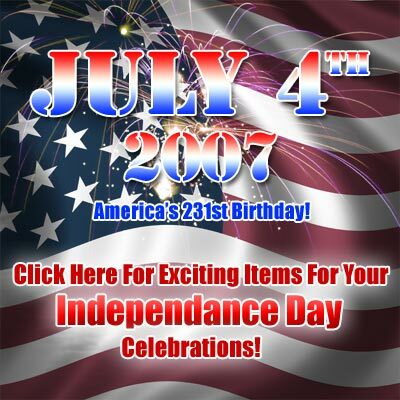 Some of these are specifically 4th of July or Patriotic items. Some are general party goods that might come in handy. Some are goofy items that are red, white, or blue in color. All of them should help you get in the mood for a good 4th of July party. A couple of broad sections of our site that also will come in handy are glow items, carnival supplies, and party supplies.